I felt a proper flashback as I peered up at a snow blanketed Fuji-san from Hakone, one of the premier destinations since the Edo period for visitors from abroad and Nippon to experience Japanese onsen (hot springs). In 2004 I came to Japan for the first time with my dad and 2/4 of my brothers, Joe and William. We spent Christmas in Hakone with the Taiwanese tour group we had joined for a week-long exploration of the country. Hakone was and still is a prime honeymoon location for couples wanting to get away, but not too far away, from central Tokyo. The Odakyu Romance Car which takes you from Shinjuku station to Hakone in just 85 minutes is named in homage to this practice. I was just thirteen years old, freshly reaching puberty, and I remember feeling unsure of myself as I stripped and hunched my body on the stool to wash myself before entering the hot spring with the other young women in the tour group. The outdoor view and cool winter breeze are vague memories compared to the feeling of peace and empowerment I grew to feel bathing naked with women who were about the same age as I am now. While I was aware of my body and its capabilities through studying Chinese dance and ballet; competing on the swim team, and dabbling in all sorts of athletic pursuits (horseback riding, surfing, tennis etc.) through my youth up to that point, I can trace the beginnings of true comfort with my body to this experience of being naked with other women. Not needing to adorn ourselves, or feel shame, but to instead just exist and relax, made me feel like I was part of a fellowship of women and that we accepted each other. I also chafe at the memory of myself at the age; the temper, impatience, and lack of gratitude for the incredible cultural experience I was lucky to have. I remember thinking sashimi was squishy and disgusting, that the lines at Tokyo Disney were exhausting, and the crush of people in the train stations overwhelming (that last bit is still sometimes true). Thank goodness we grow out of our moody adolescence. 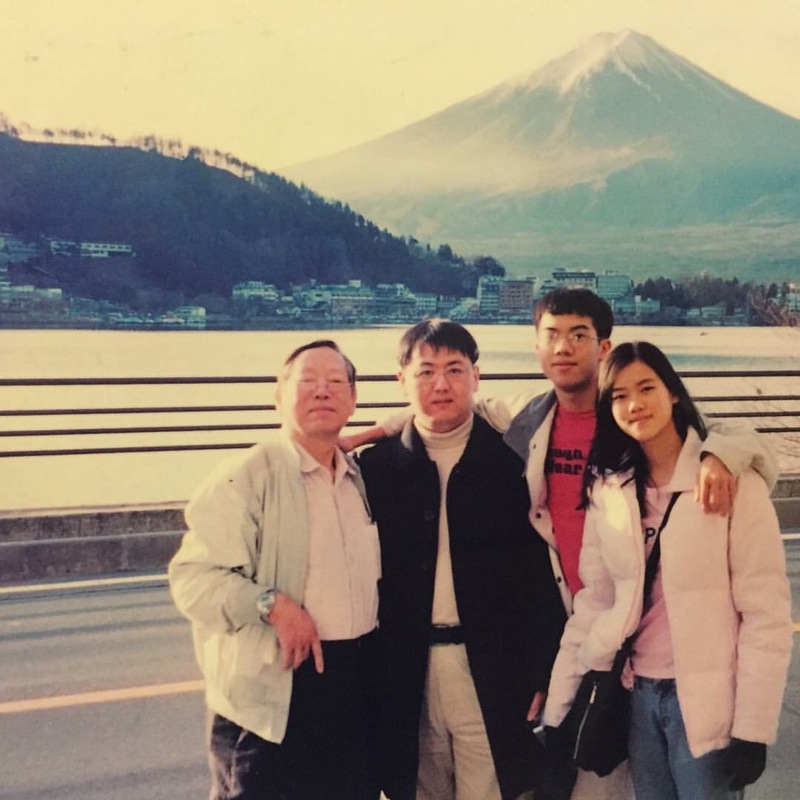 It is also a special memory because it was my first glimpse of the country whose beauty I have grown to love after living here for the last 471 days, and because it was the last big trip I took with my father before he passed away in 2008. Twelve years later, I spent the same day with my mom in Hakone reflecting on my blessings; where I have been and where I want to go. We had deep conversations about our family history and my mother’s life story. We spent time at Yuryo onsen, which is easily accessible from Hakone-Yumoto station via free shuttle. My mama was a bit shy at first too, but it was so fun sharing my love of onsen with her, and to appreciate the body that gave me life. I am endlessly grateful to the people I have met who have inspired me, and to my family for always encouraging and supporting me. yes, she said SQUISH TO DEATH. kawaii and menacing at the same time. that’s my one of a kind mama. I am thankful for the mistakes I have made, as they have pushed me to grow, and taught me important lessons that one can only learn through trial and error. Here are some photos from around town and mostly the Hakone Open Air Museum, which we visited on Christmas Eve. This post is coming a bit late because I got very sick on Christmas day and was admitted to the ER at Jikei University Hospital the next day with a kidney infection and 40C (104 F) fever! No worries, the antibiotics kicked in after a few days and I’m feeling much better. Here’s to health and gratitude in 2017.